Carmel Valley Brokerage in Monterey Peninsula | Sotheby's International Realty, Inc.
Just East of Carmel and the coastal fog is Carmel Valley, a sun-soaked region between lush green mountains where ranch-style homes, ranches, horse properties, vineyards and country club real estate peacefully coexist among numerous golf courses and wineries. The picturesque Carmel River flows through the base of the Valley and along the backyards of many Carmel Valley homes, while the expansive Garland Ranch Regional Park straddles the river, stretching up into the nearby mountains. The three areas of Quail Meadows, the Santa Lucia preserve and Canada Woods, a project developed by Clint Eastwood, offer spectacular large home sites where owners are building exceptional custom homes, and each has its own golf course. 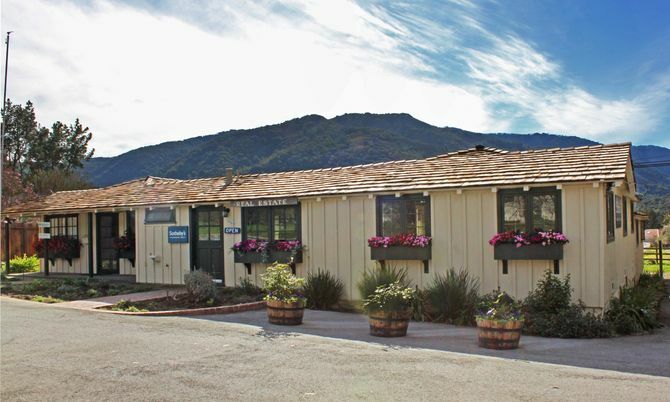 Another major and popular golf course community with a resort, condominiums and single-family homes is Carmel Valley Ranch. Carmel Valley is also home to two premier senior condominium complexes, Del Mesa Carmel and Hacienda Carmel.